It’s time for Quilting Jetgirl’s 2019 Planning Party! Are you participating? You can find all the information over at her blog. I took a look at my 2018 goals first, and it turns out, I didn’t accomplish many of them. That’s okay. This year ended up being extremely busy and sometimes life is like that. I continued to create through out the year, and that’s what’s important to me. I think I meet only one of my OMG in 2018. I hope to do better in 2019. I didn’t do the RSC in 2018 and I missed it. I purchased a new machine in 2018, partially so that I could machine quilt some of my own quilts. I need to do so. Hopefully I’ll be able to carve out more quilting time in 2019. I hope you have a lot of quilting fun in 2019 as you work on these goals. Thank you so much for sharing and linking up with the Planning Party! You have great goals, Mercedes! I have a quilting machine, and while I love it, the quilting part of quilt making is not my favorite. 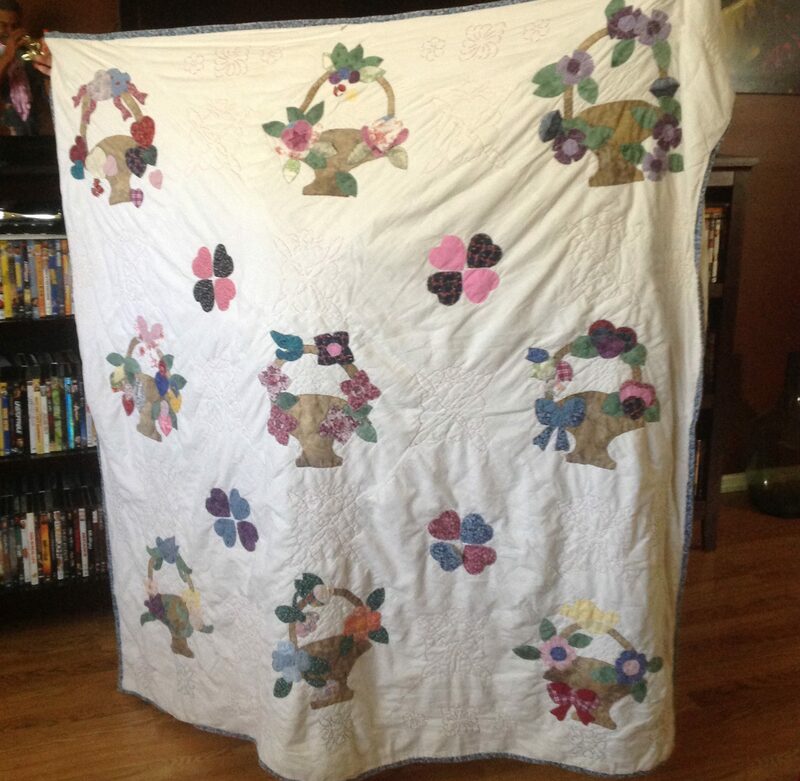 I wish I could afford to send everything off to a quilter. On the other hand, I quilt them like I want them done and I can only be disappointed with myself if it doesn’t turn out.